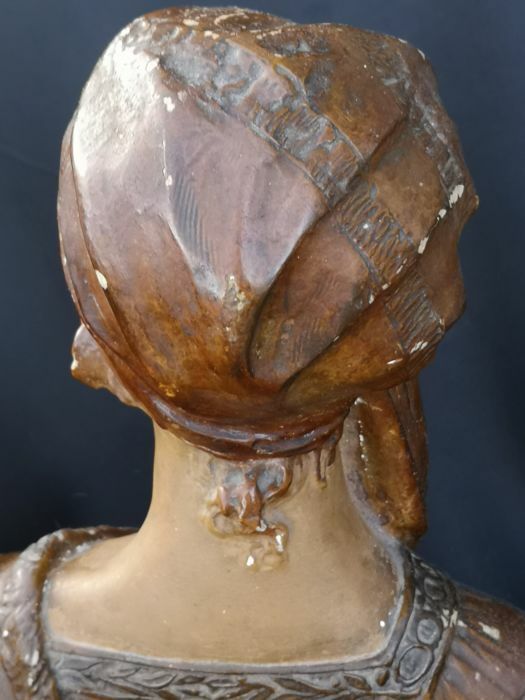 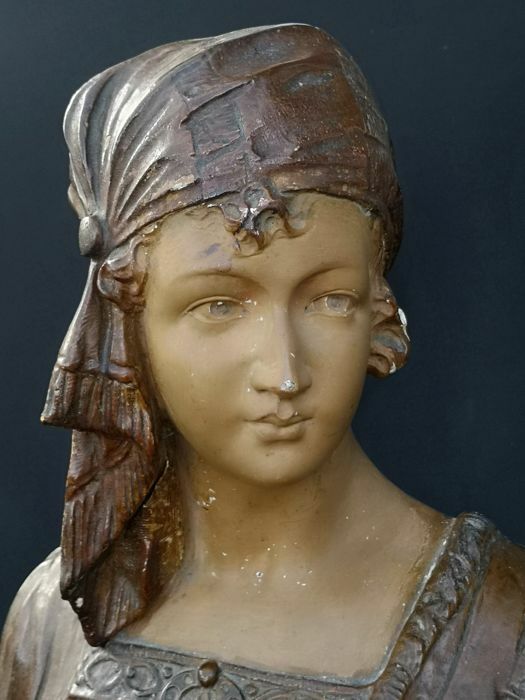 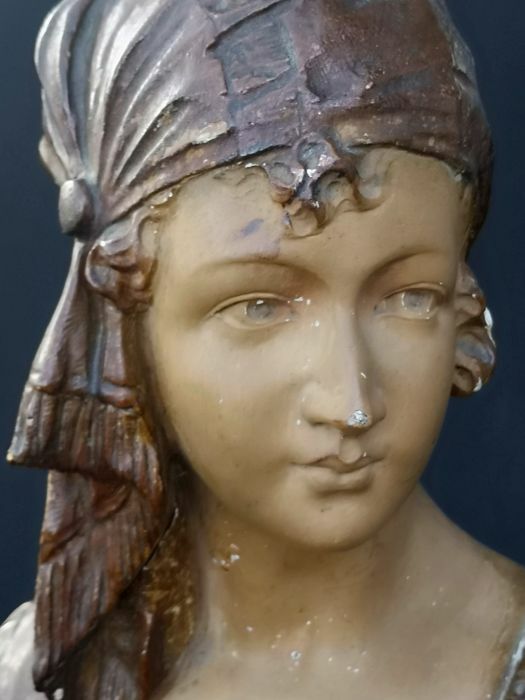 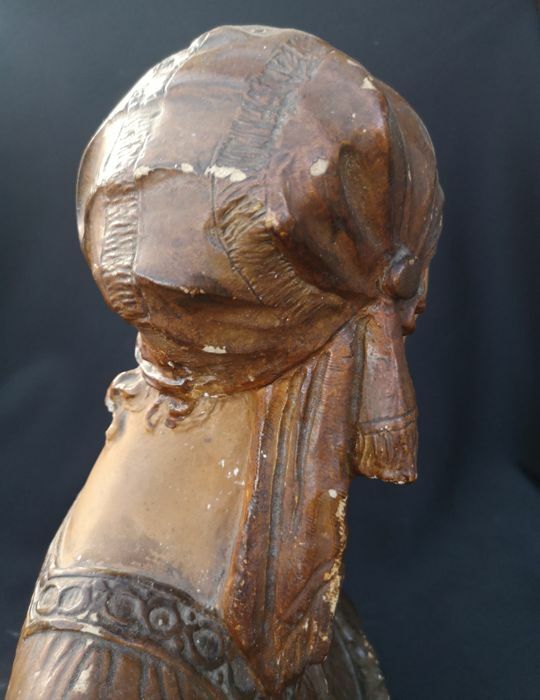 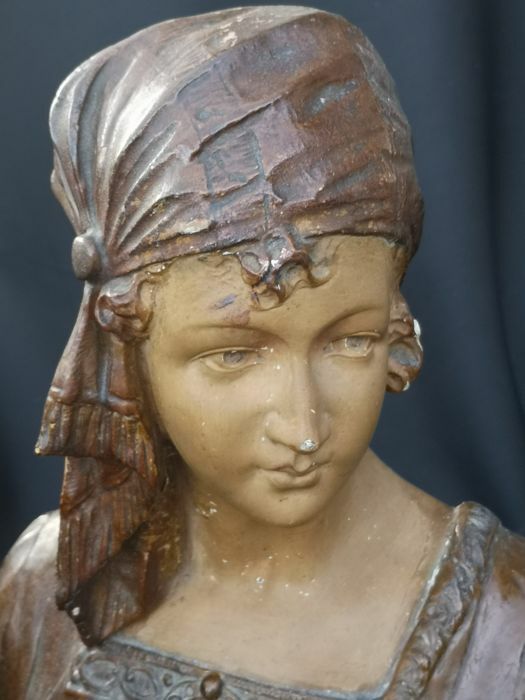 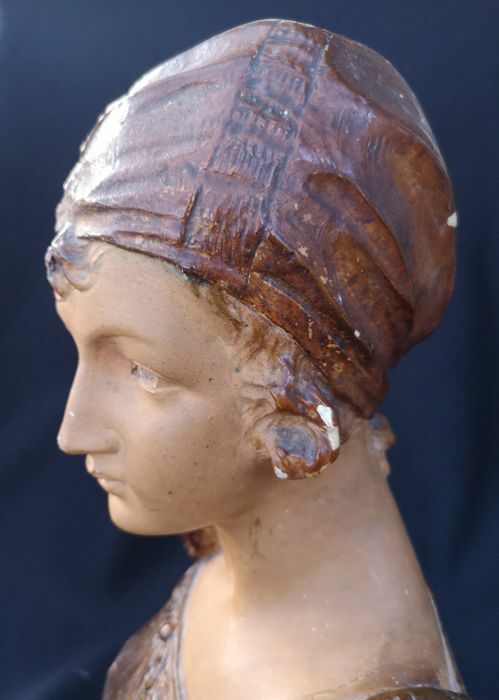 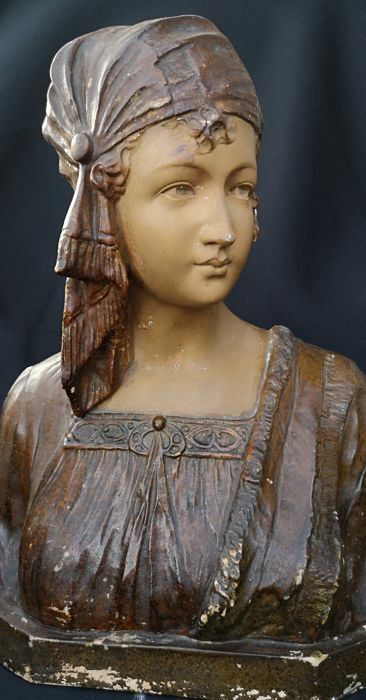 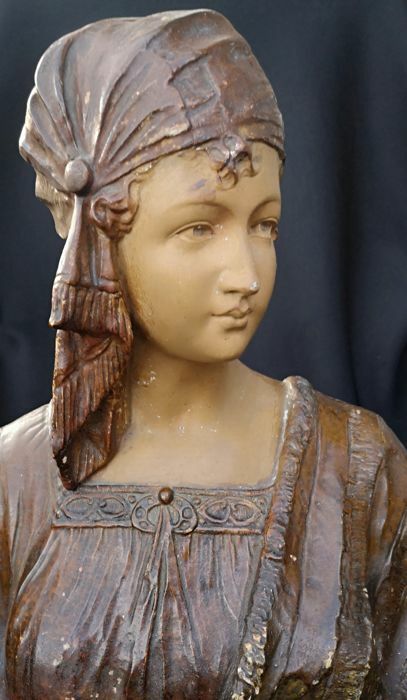 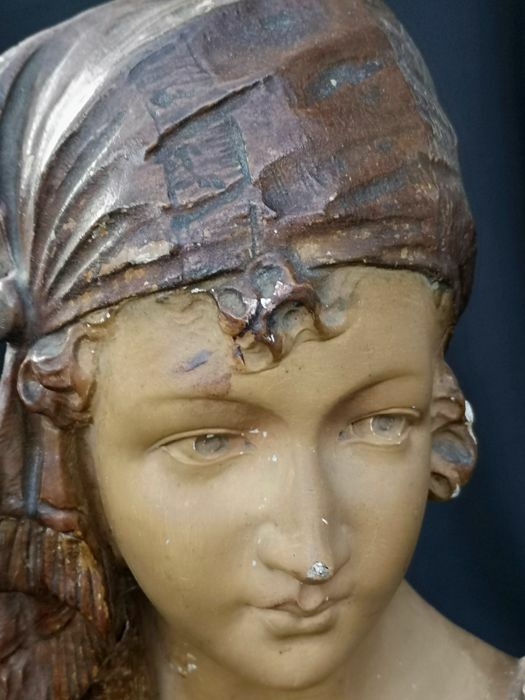 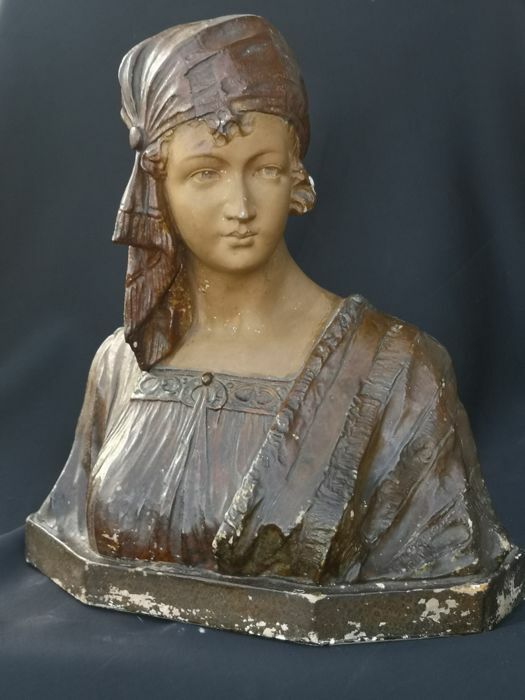 Art nouveau bust of a young lady with scarf and brown lacquered costume. 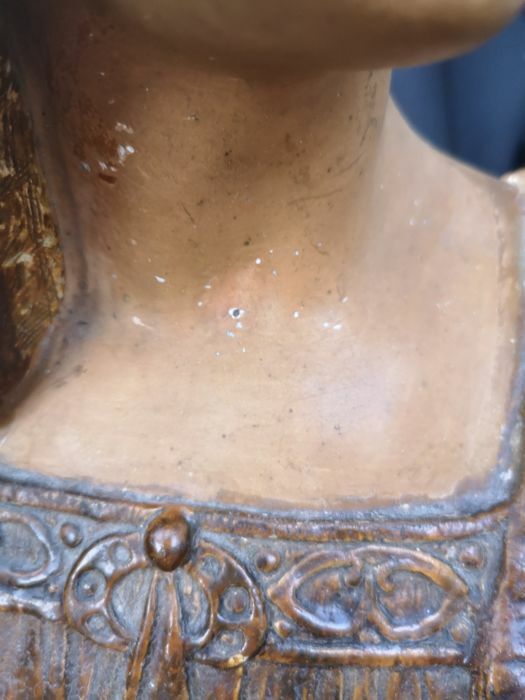 The neck and face in painted plaster have a very expressive and penetrating look. 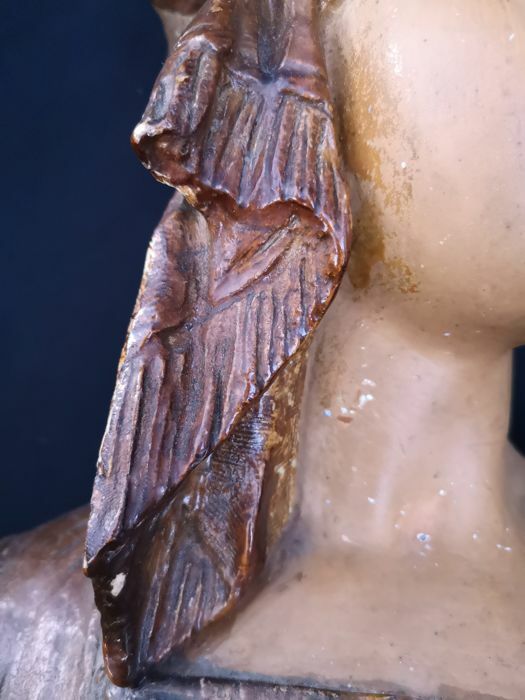 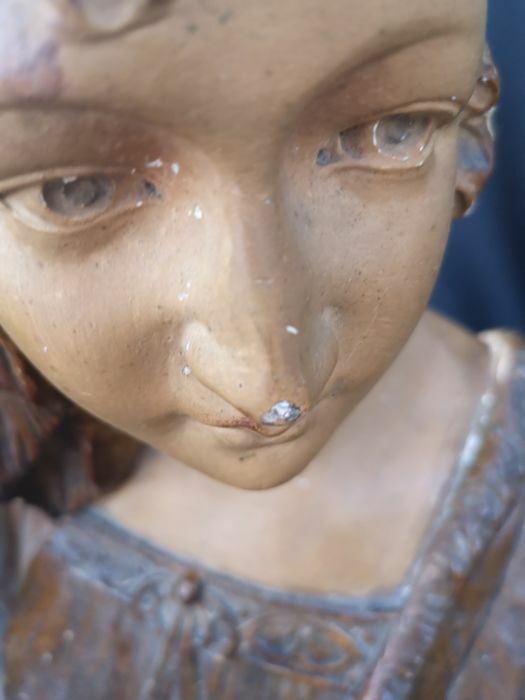 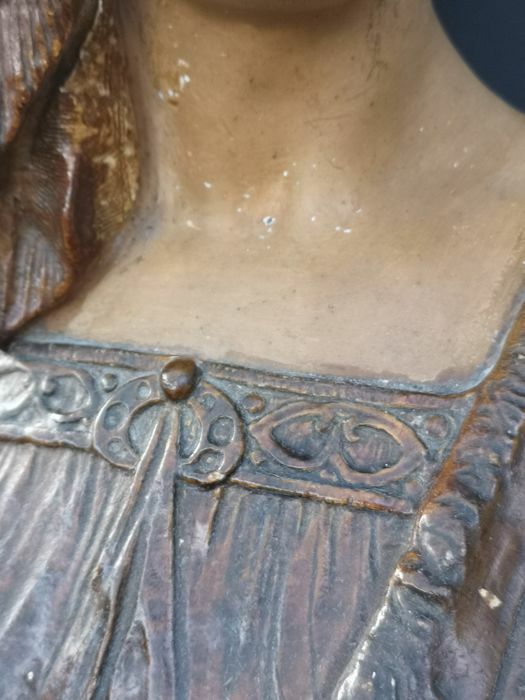 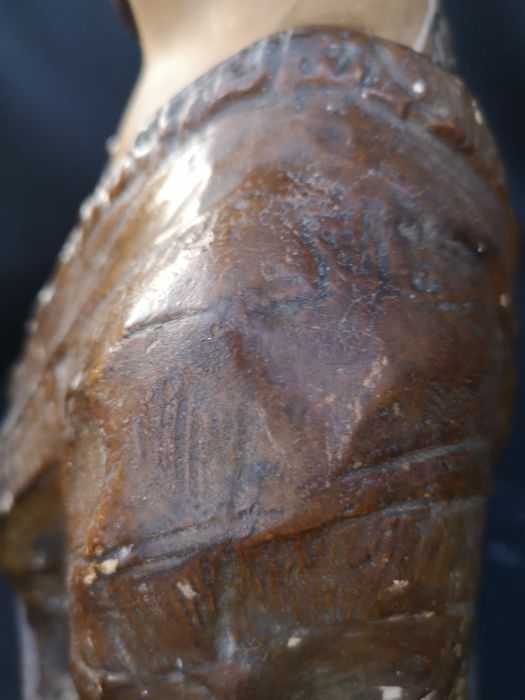 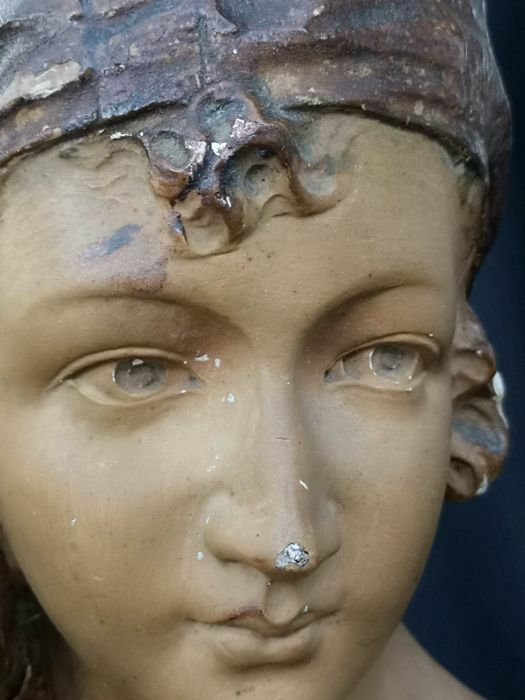 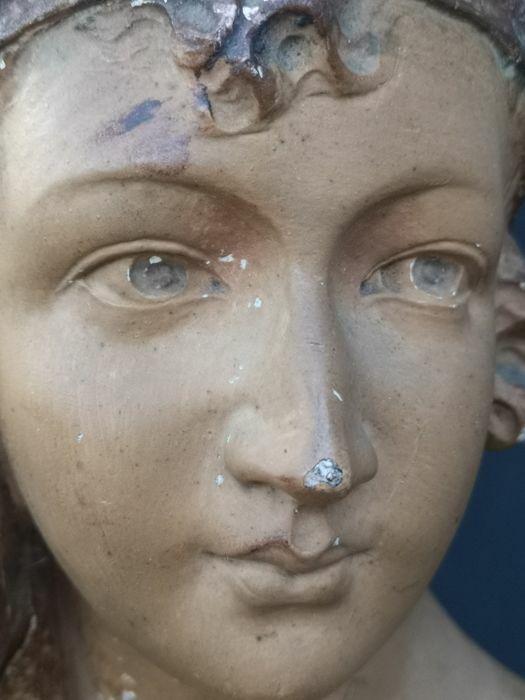 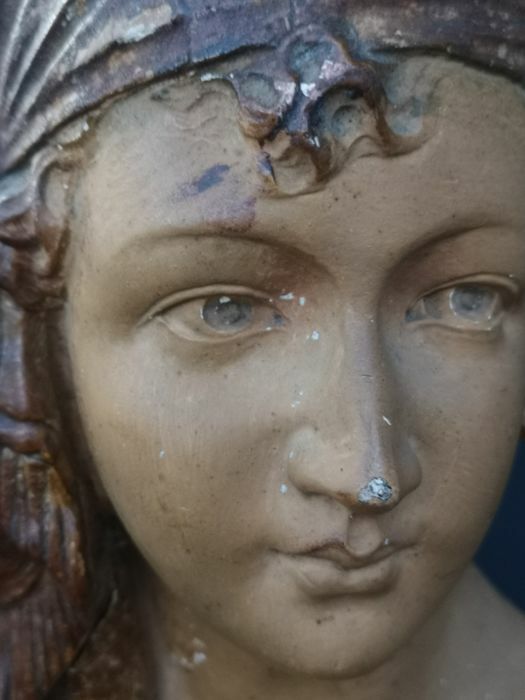 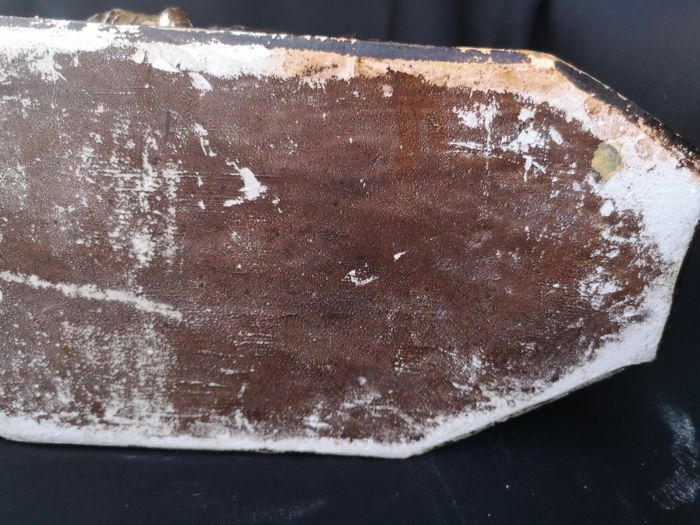 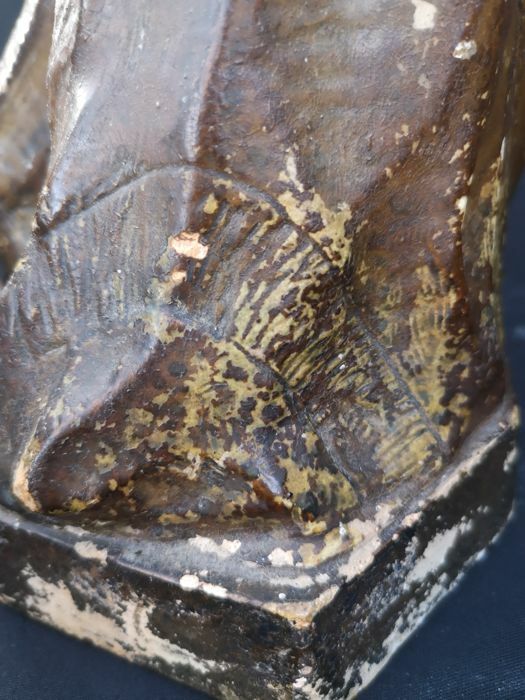 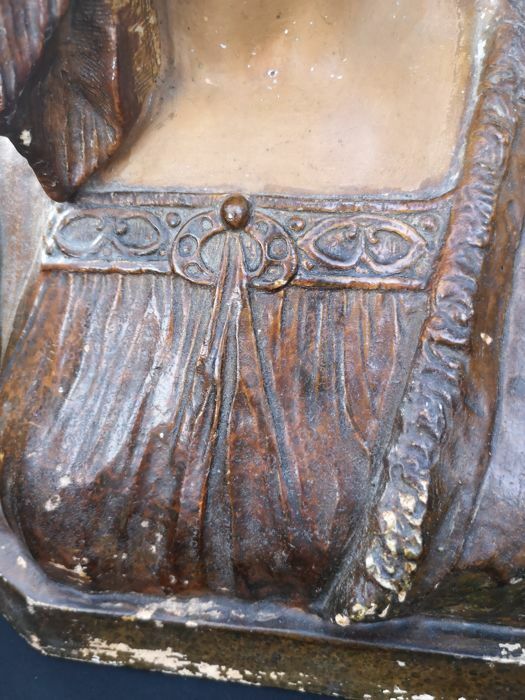 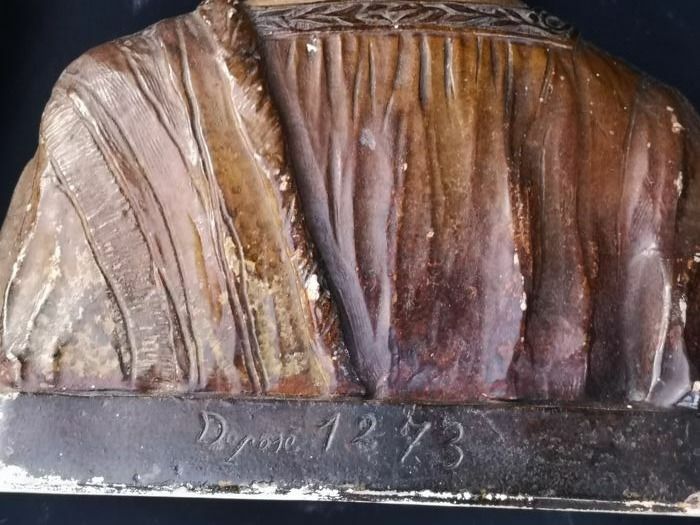 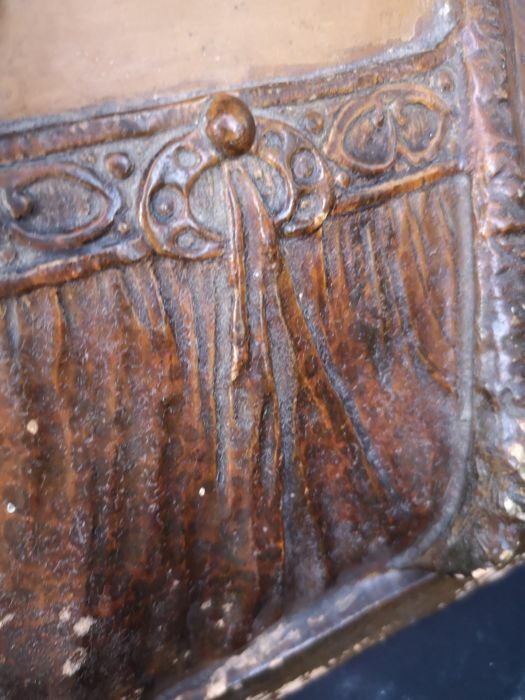 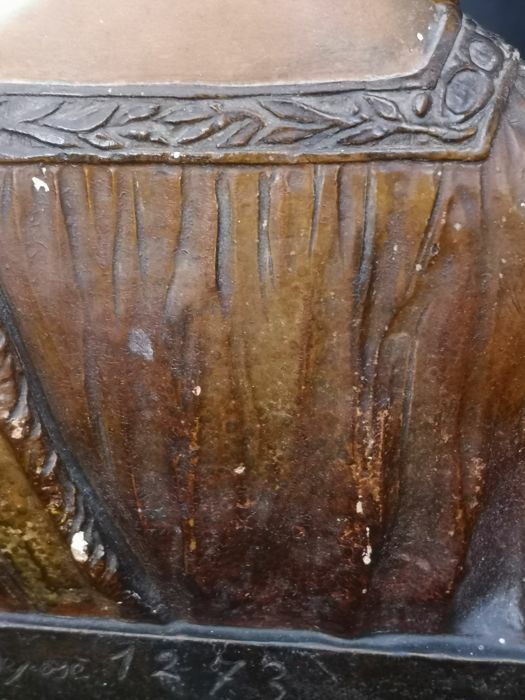 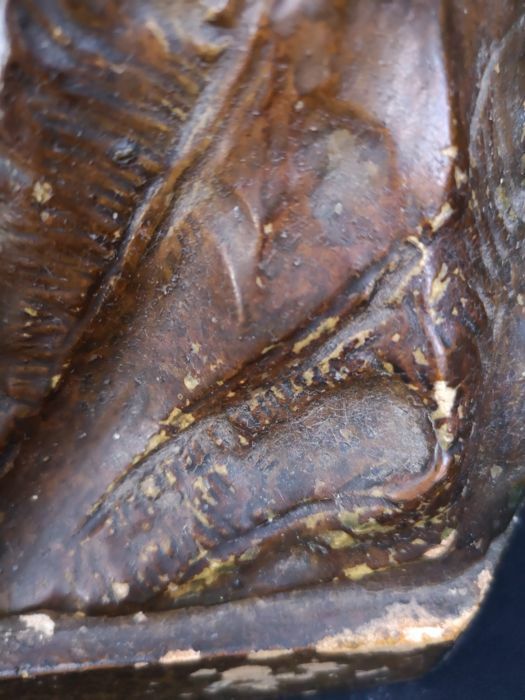 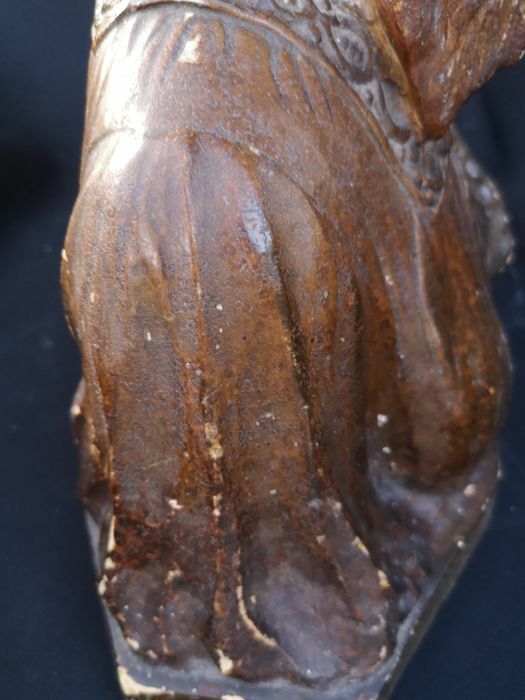 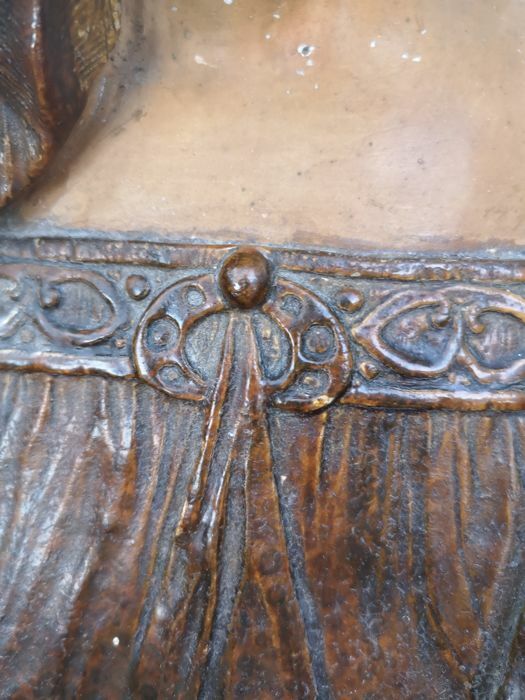 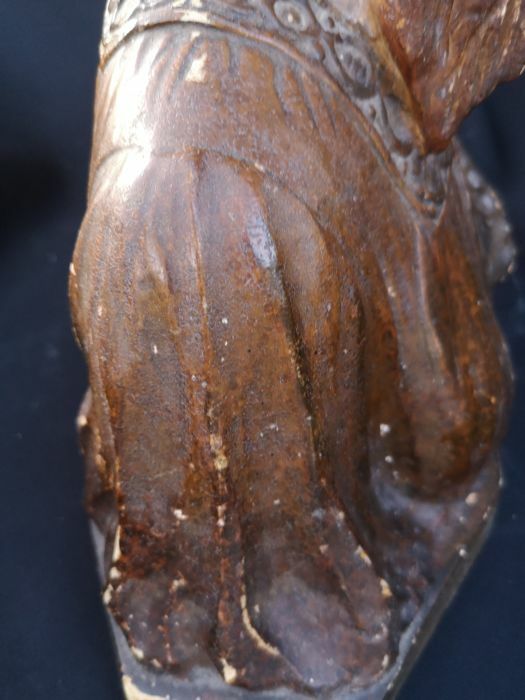 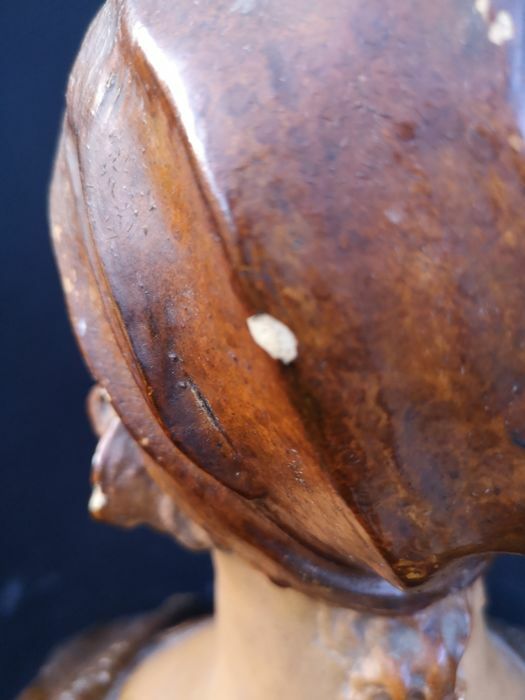 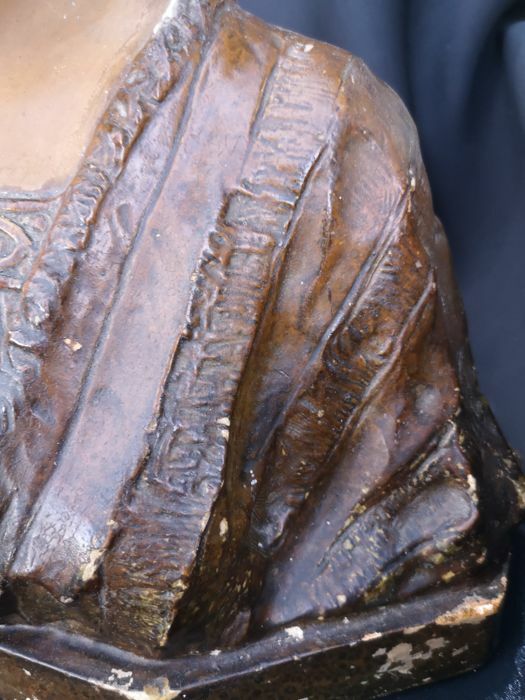 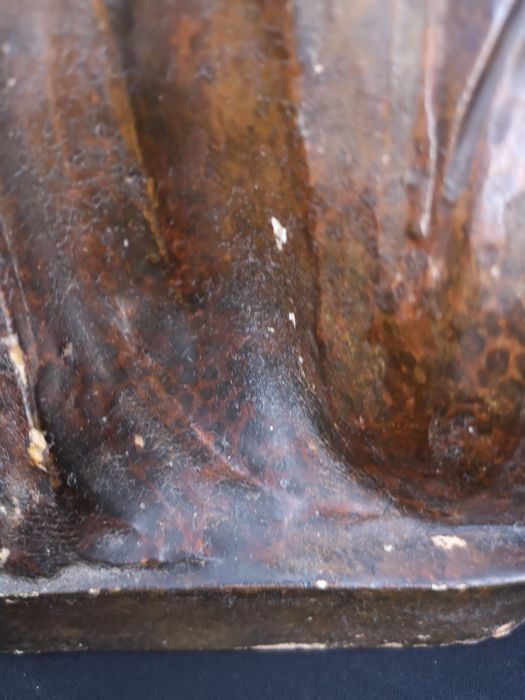 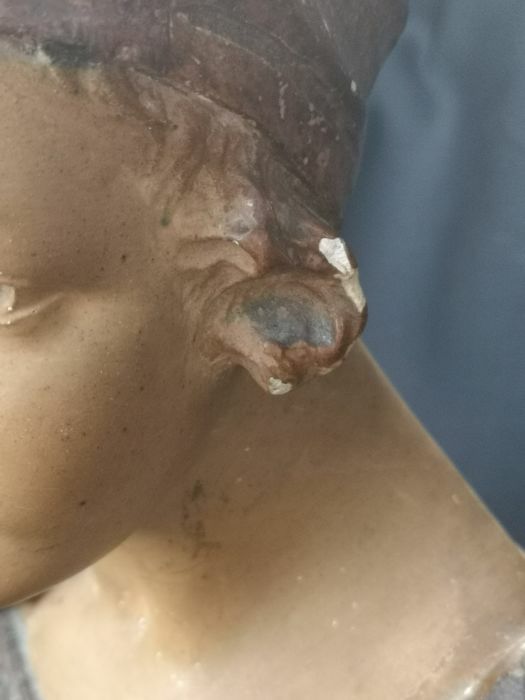 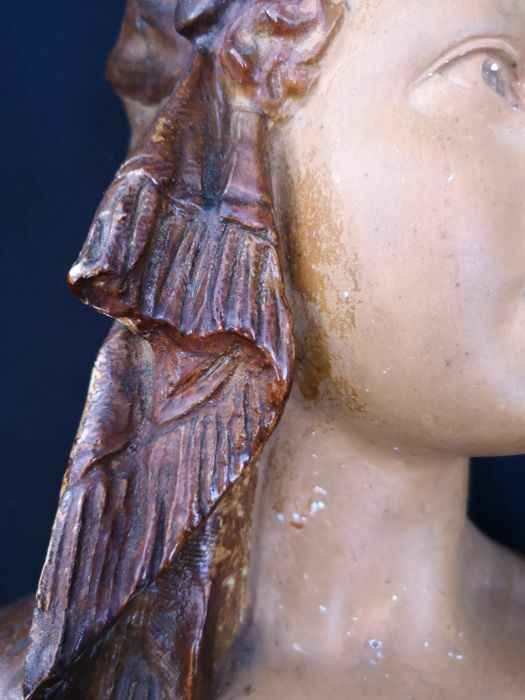 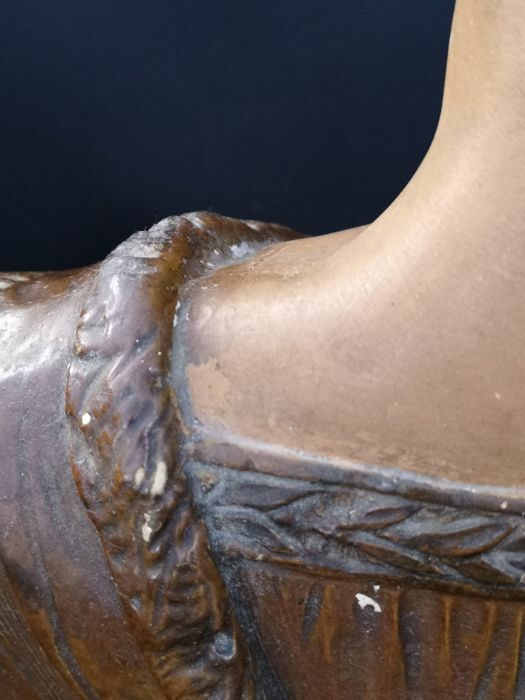 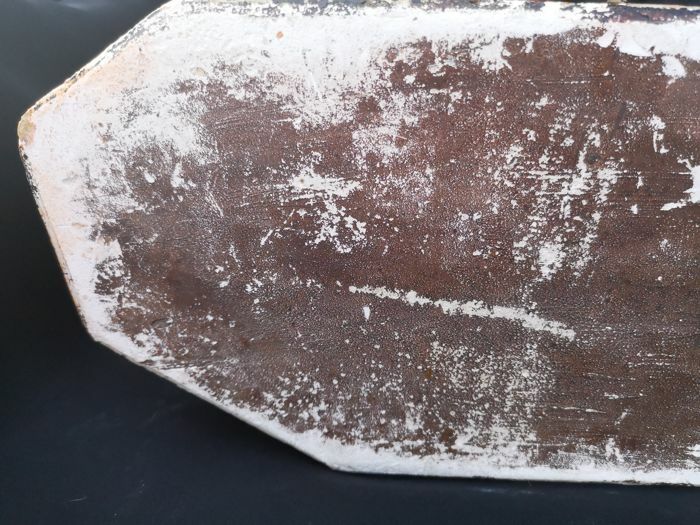 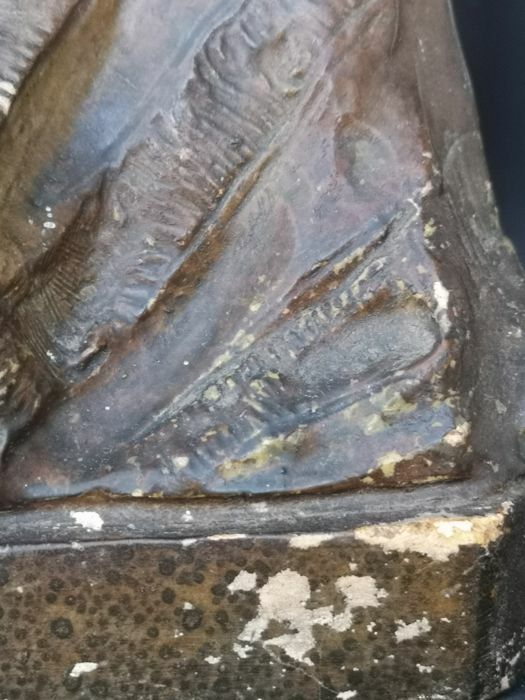 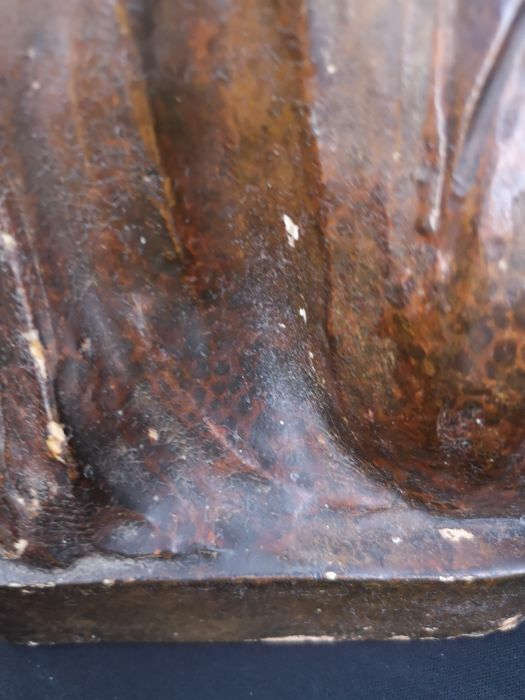 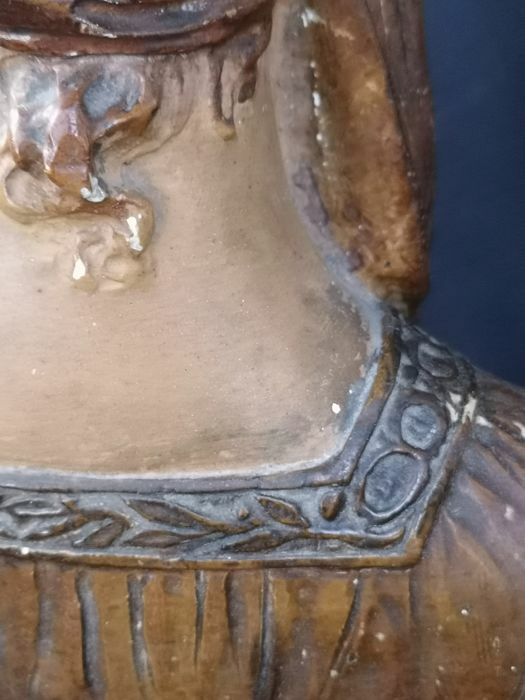 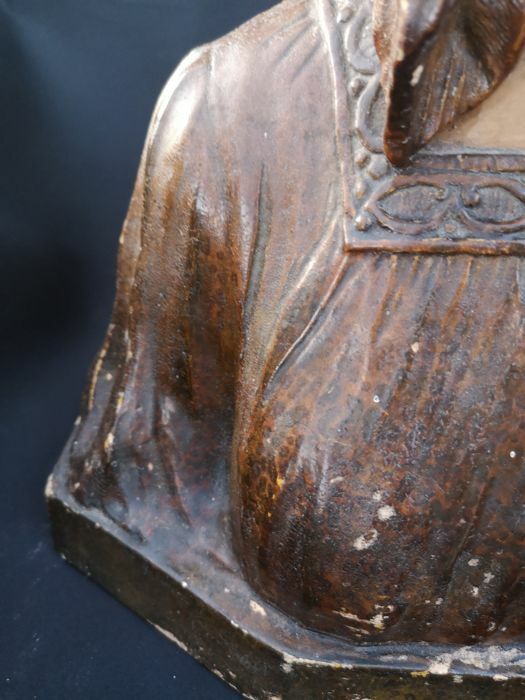 The bust has signs of wear and a weathered patina. 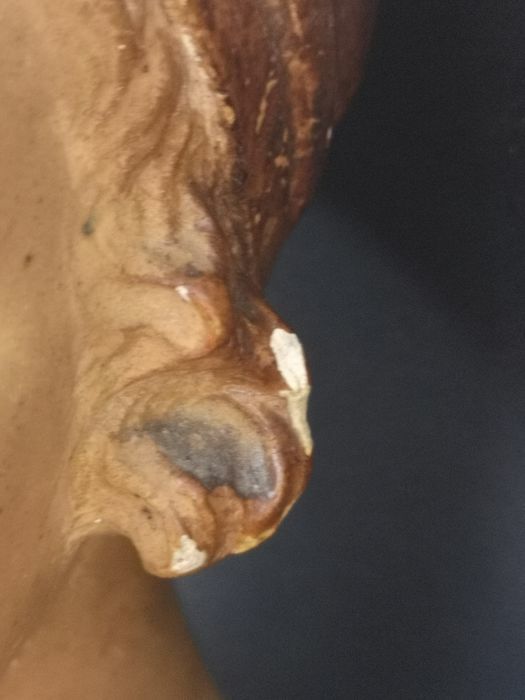 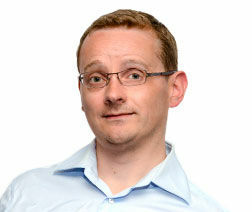 A very small piece of the ear is missing. 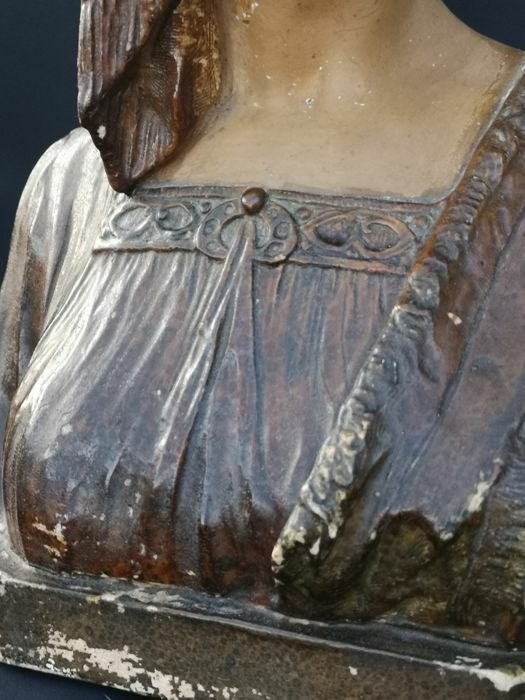 With label: marque déposé. 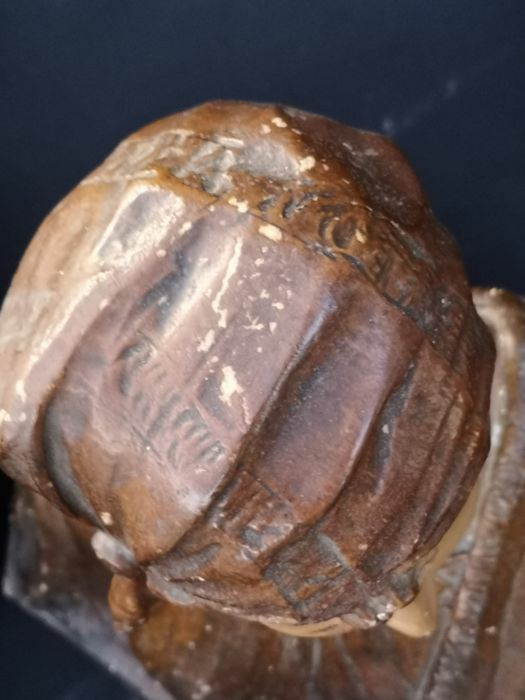 Stamp on the backside. 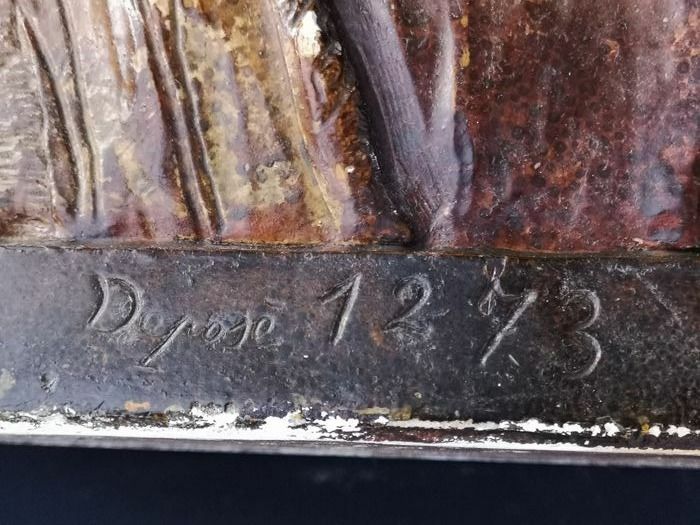 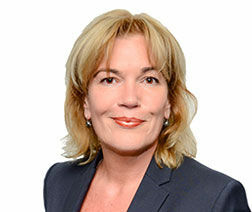 Pode levantar este lote em mão do vendedor: Lubbeek, Bélgica.